But that claim only covers the value of the Amos 6 spacecraft lost in the blast Thursday morning at Cape Canaveral’s Complex 40 launch pad. Spacecom could ask SpaceX for a further $50 million in compensation, or a free flight in the future, according to Reuters. Israel Aerospace Industries, a government-owned defense contractor, built the 11,574-pound (5,250-kilogram) Amos 6 satellite. A spokesperson for IAI said Monday the company holds an “all risks” pre-launch insurance policy, which covers events when the spacecraft is in transit and at the launch site. “In IAI’s opinion, according to the terms of the policy, the company is fully covered and is working with the relevant insuring bodies to receive the full indemnity due under the policy,” the spokesperson said in a statement released to Spaceflight Now. 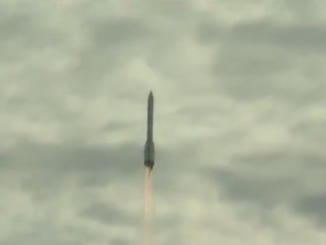 IAI managed the Amos 6’s launch campaign at Cape Canaveral since the satellite arrived in Florida from Israel on July 13, and held responsibility for the spacecraft through launch. 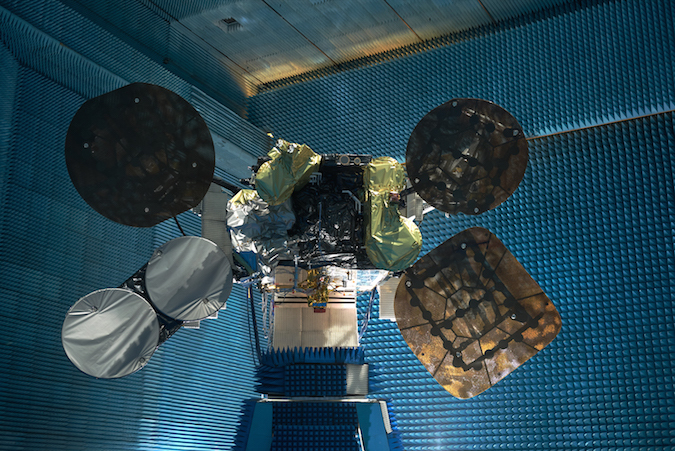 Officials from Spacecom, IAI’s customer, said in a statement they are attempting to recoup their investment in the Amos 6 satellite, a cornerstone mission that would have linked Europe, Africa and the Middle East with television and Internet services. IAI said it is “required to repay the sum of $173 million to Spacecom and to bear additional costs” under the terms of its contract. The other costs include interest, bringing IAI’s total sum due to around $205 million, according to a representative of Spacecom. But IAI’s share of the responsibility apparently only covers the satellite. Spacecom officials said Sunday the company could seek $50 million or a free flight from SpaceX for a future satellite, Reuters reported. The $50 million figure is in line with the price of a Falcon 9 rocket launch when Spacecom signed the Amos 6 launch contract with SpaceX in 2013. SpaceX has not commented on the terms of the Amos 6 launch contract. The Amos 6 satellite was mounted on top of SpaceX’s Falcon 9 rocket for a routine pre-launch test Thursday, when the launcher exploded during fueling about eight minutes before a hold-down engine firing designed to wring out problems with the vehicle. If the test was successful, SpaceX hoped to launch the Amos 6 satellite two days later. It would have been the ninth Falcon 9 launch of the year, a record for SpaceX. 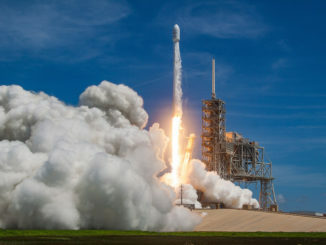 The company, led by Elon Musk, had up to 10 more launches on the books before the end of 2016, and the pace of flights required faster turnarounds between missions. One way to reduce the time between launches was to conduct the customary pre-flight “static fire” test with the rocket’s satellite payload already attached, a practice that began in 2014 and became more commonplace this year. The timing of Amos 6’s loss initially raised questions over the satellite’s insurance coverage. Launch insurance typically kicks in at “intentional ignition” just before the moment of liftoff. But IAI said its pre-launch insurance covers the loss. 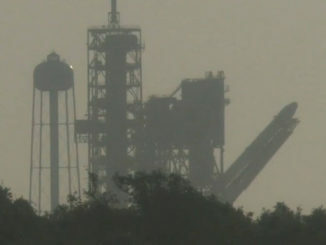 The static fire policy will likely be reviewed for future Falcon 9 launches. SpaceX said Thursday’s mishap began around the upper stage liquid oxygen tank, and engineers within the company, NASA, the U.S. Air Force and other industry experts are forming an accident investigation team. The Federal Aviation Administration has oversight in the inquiry. “We are currently in the early process of reviewing approximately 3,000 channels of telemetry and video data covering a time period of just 35-55 milliseconds,” SpaceX said in a statement. Spacecom shares slipped more than 30 percent Sunday, the first full trading day on the Tel Aviv Stock Exchange since the explosion. The company said it expects its equity to drop by $30 million to $123 million, according to Reuters. The status of the pending sale of Spacecom to China’s Beijing Xinwei Technology Group, a $285 million transaction announced in August and predicated on the successful launch of Amos 6, is unresolved in the wake of last week’s blast. In Monday’s statement, Spacecom said it would not give up on the deal. The two parties “shall explore possibilities to amend the current agreement to reflect the new situation,” Spacecom said. In the meantime, Spacecom is weighing whether to pursue a replacement satellite for Amos 6, which was to enter service for a 16-year mission in geostationary orbit at 4 degrees west longitude. From that position, Amos 6 would have hovered nearly 22,300 miles (35,800 kilometers) over the equator, in view of Europe, Africa and the Middle East. Part of Amos 6’s capacity was leased to Eutelsat and Facebook to beam high-speed Internet connectivity across sub-Saharan Africa.